Heavenly salvation from faith or good works (Luther versus Tetzel). Quantum physics theories (Einstein vs. Neils Bohr). May I add one more to the list? -- Home made macaroni and cheese or the stuff in the box. 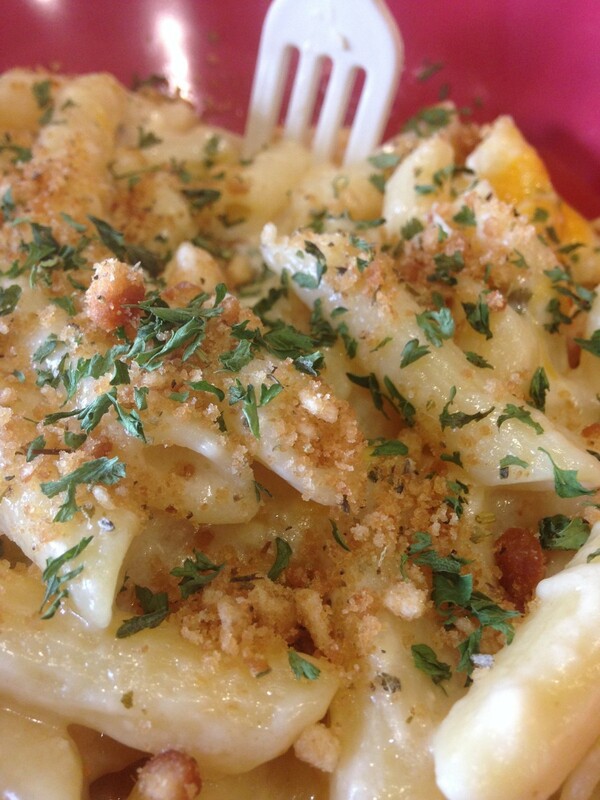 So What Makes Macaroni and Cheese from a Box So Amazing? But, there are other things to consider--namely nutritional value and taste. That's where homemade macaroni and cheese comes to the rescue. Trust me--if you can boil water to make the boxed stuff, you have the skills you need to make the real deal. So, here are ten recipes for you; I have arranged them in order of complexity, the easier one is first. I started making this dish years (and years) ago when my children were young, time and money were in short supply, and little palates were not yet attuned to gourmet flavors. Technically it's not really macaroni and cheese (there is no cheese sauce). But it's a very basic, simple recipe to get us started. Cook pasta according to package directions. Drain well and place in large mixing bowl. Gently stir in chili, salsa, 1 cup of the cheese, and the crushed tortilla chips. Spray a large casserole dish with non-stick cooking spray. Spread macaroni/chili mixture in dish; top with remaining 1 cup cheese. Bake uncovered about 25-30 minutes or until bubbly. NOTE: You can omit the salsa if you prefer a less spicy meal. This is also a great place to "hide" additional vegetables--corn, cooked carrots, or diced zucchini. This next recipe is adapted from the New York Times story "The Winter Cook; Macaroni and Lots of Cheese" by Julia Moskin, January 4, 2006. There are two very big plusses to this recipe: First, you do not have to make a béchamel (white creamy) sauce and the pasta is NOT boiled. Preheat oven to 375 degrees F. and position an oven rack in upper third of oven. 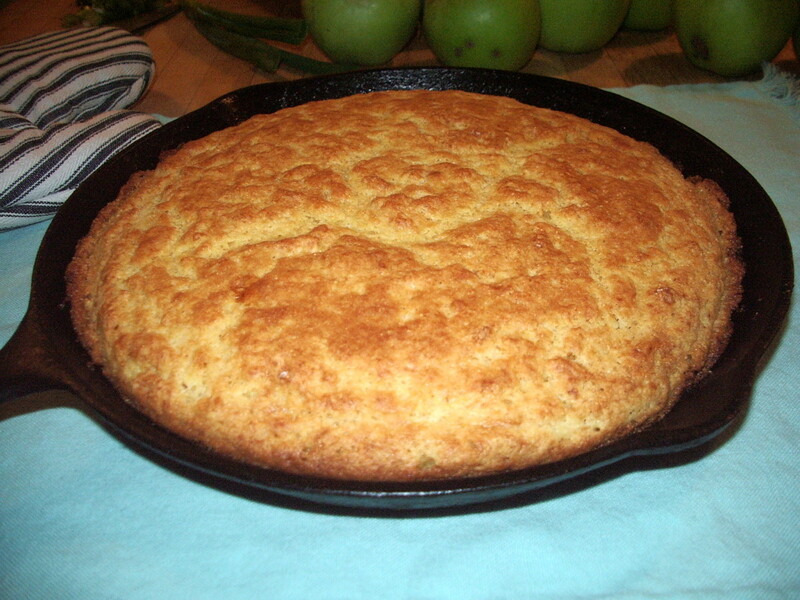 Use 1 tablespoon of the butter to grease a 9-inch round or square baking pan. In a blender, process the ricotta, half and half, water or broth, mustard, nutmeg, and salt and pepper together until very smooth. Reserve 1/4 cup of the grated cheese for topping. 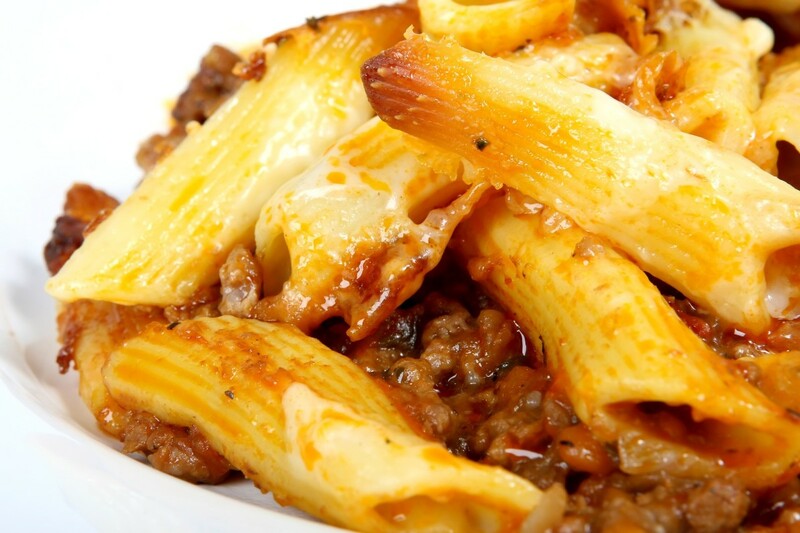 In a large bowl, combine remaining grated cheese, ricotta mixture, and uncooked pasta. Pour into prepared pan, cover tightly with foil and bake 30 minutes. 3. Uncover pan, stir gently, sprinkle with reserved cheese and dot with remaining tablespoon butter. Bake, uncovered, 30 minutes more, or until browned. Let cool at least 15 minutes before serving. This next recipe is an adaptation of several recipes on the internet for "Stouffers Copycat Macaroni and Cheese." This takes us to the next step—cooking and draining pasta, preparing a white sauce, stirring grated cheese into the sauce, combining cheese sauce and cooked pasta, and then (here's the good part), baking in a hot oven until browned and bubbly. Cook the pasta according to package directions until al dente. This means that it is almost cooked, but still a tiny bit chewy. (Your pasta will be baked in the oven and will finish cooking there.) Drain and set aside. Warm the milk in a microwave-safe measuring cup. It doesn’t need to be hot—just take the chill off. Melt the butter in a large saucepan over medium heat. Whisk in the flour and cook for about 2 minutes. Slowly pour in the warmed milk. Stir constantly until slightly thickened. Add the cheese, one handful at a time, whisking well after each addition. Don’t add more cheese until the previous handful is melted. Stir in the sour cream and then season to taste with salt and pepper. Carefully add the drained pasta and stir to combine thoroughly. 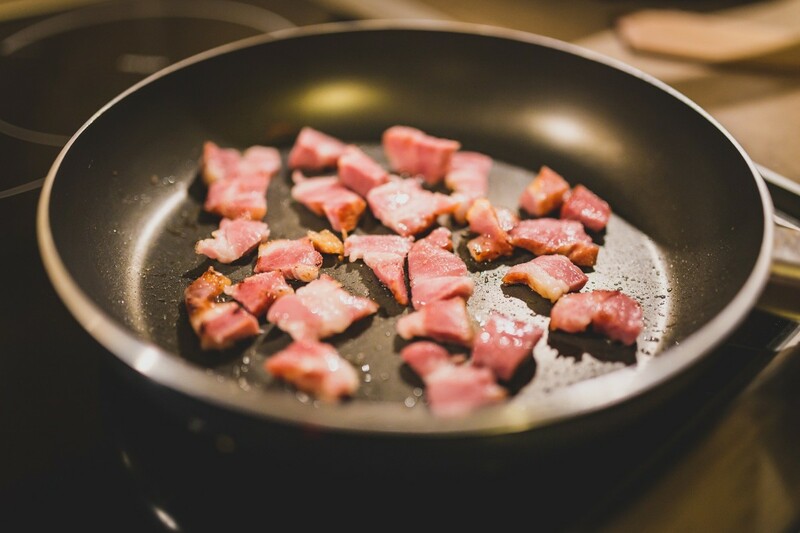 Pour into buttered 9-inch square pan. Bake 15 to 20 minutes or until bubbly. NOTE: Don't use pre-shredded cheese in this recipe. Most cheese-in-the-bag is coated with potato starch which can cause your creamy cheese sauce to become grainy and gloppy (yuck!). Now we will take a side trip away from conventional yellow macaroni and cheese and begin to explore some different flavors. 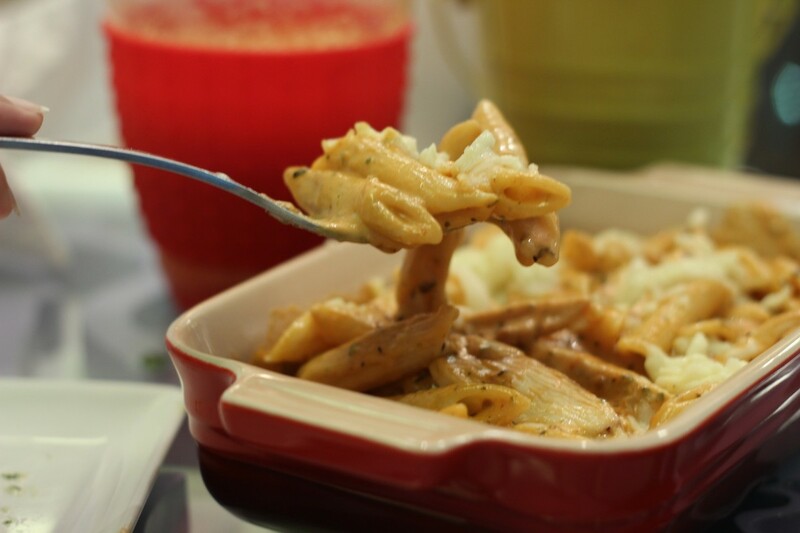 If you enjoy the taste of garlic you will love this version of macaroni and cheese. Cook the pasta according to package directions until al dente. This means that it is almost cooked, but still a tiny bit chewy. (Your pasta will also be baked in the oven and will finish cooking there.) Drain and set aside. Stir in the sour cream and pesto; season to taste with salt and pepper. What is caprese? 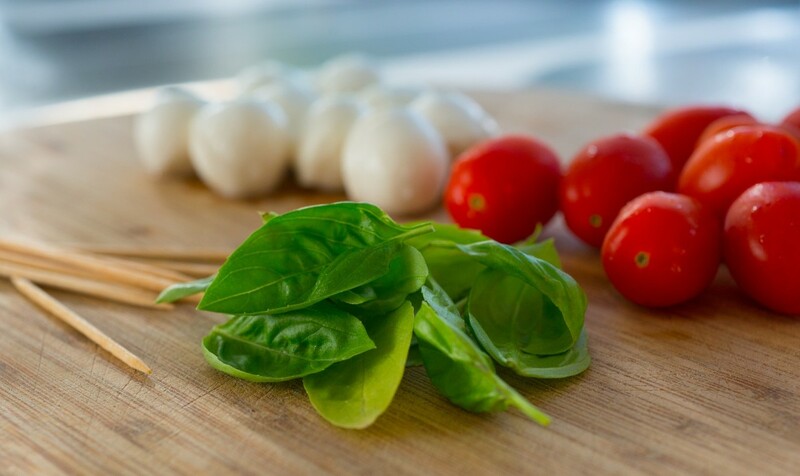 Insalata Caprese is Italian for "Salad of Capri," a simple salad of sliced fresh mozzarella cheese, sliced fresh tomatoes, and fresh basil leaves lightly adorned with a sprinkle of sea salt and a drizzle of good-quality olive oil. Return to the oven and bake 5 minutes more. Garnish with fresh basil leaves just before serving. Here I offer a slight variation on the above recipe—we are adding cooked chicken, zingy buffalo wing sauce and (of course) some crumbled blue cheese to replicate the flavors we have come to know and love as buffalo wings. Add the Cheddar cheese, one handful at a time, whisking well after each addition. Don’t add more cheese until the previous handful is melted. Stir in the sour cream; season to taste with salt and pepper. 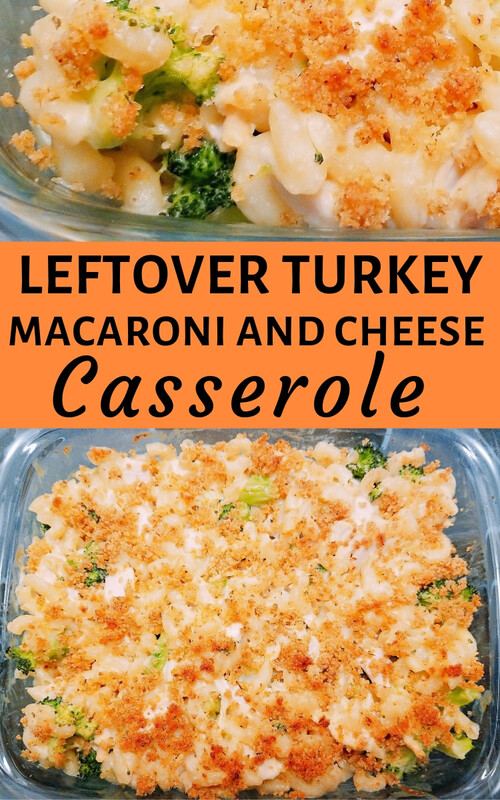 Pour one half of the macaroni and cheese into buttered 2 ½ quart oven-safe casserole dish. Top with diced cooked chicken. Drizzle on hot buffalo wing sauce. Cover with remaining macaroni and cheese. Bake 15 to 20 minutes or until bubbly. 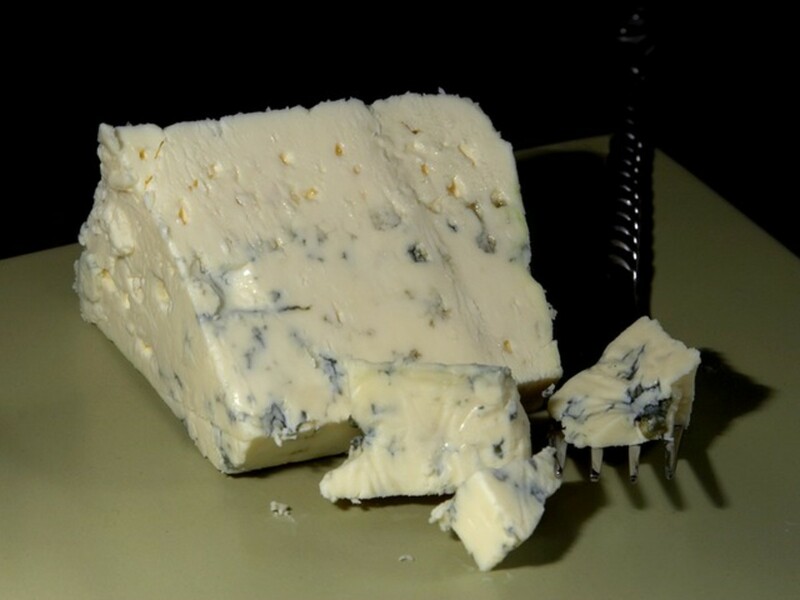 Sprinkle on crumbled blue cheese just before serving. Crumble the ground turkey into large skillet. Cook over medium heat until no longer pink. Stir in enchilada sauce. Remove from heat and set aside. Add the Cheddar and Monterey jack cheeses, one handful at a time, whisking well after each addition. Don’t add more cheese until the previous handful is melted. Carefully add the drained pasta and the cooked ground turkey; stir to combine thoroughly. Pour into buttered 2 ½ quart oven-safe casserole dish. Macaroni and cheese for breakfast? Not really. 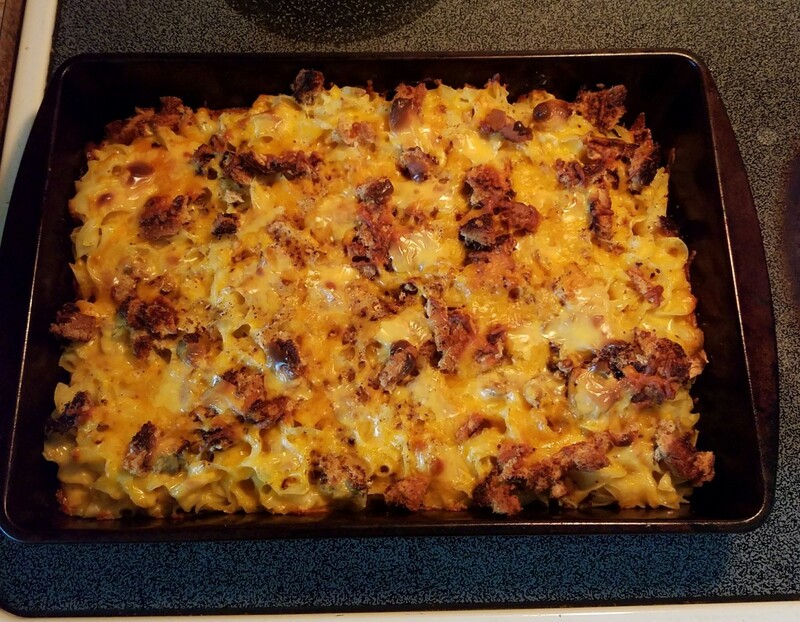 I start out my day with something lighter, but I love the flavors of breakfast, so why not have bacon and even some eggs with your mac and cheese? Replace the ground turkey with 6 slices turkey bacon (or bacon), cooked crisp and crumbled. Follow steps 3 through 8 of recipe #7. 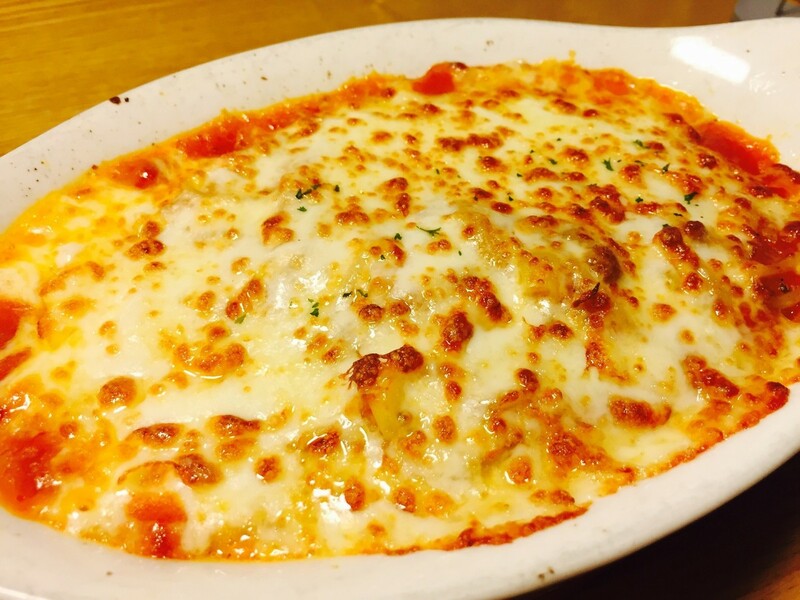 Carefully fold cooked pasta into cheese sauce. Pour into buttered 9-inch square baking dish. 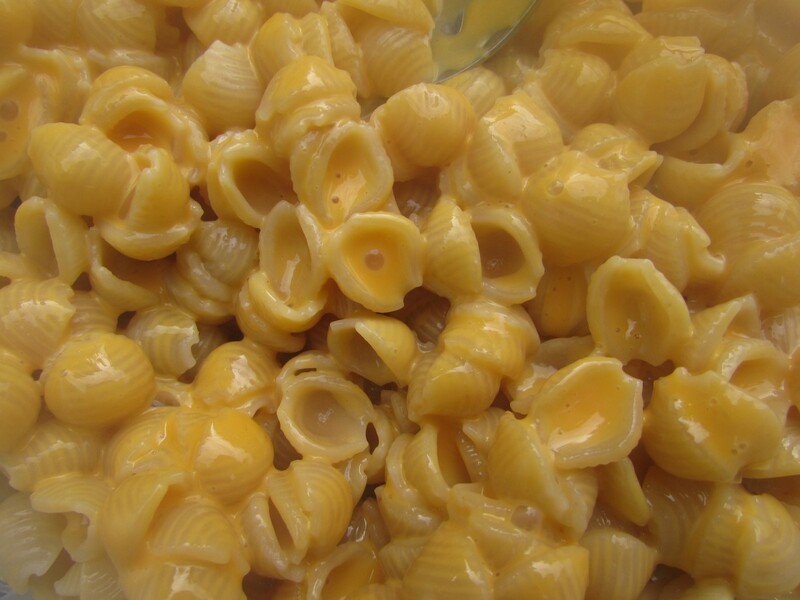 Use a large spoon to form 4 to 6 evenly-spaced indentations in the macaroni and cheese. Break one egg into each indentation. Bake 15 to 20 minutes or until macaroni is heated through and eggs are done to your liking. Over medium heat in large open pan saute cooked cauliflower in 2 tablespoons olive oil until it begins to brown, about 5 minutes. Add drained stewed tomatoes and continue to cook for 1 to 2 minutes to meld flavors. Remove from heat and season with salt and pepper to taste. Melt 2 tablespoons butter or margarine in saucepan over medium heat. Add flour and stir one minute. Whisk in cream; cook until sauce thickens. Add 1 cup cheddar cheese, the gouda, parmesan, and mustard and continue to cook until all cheese is melted and sauce is smooth. Whisk in sour cream and remove from heat. Season with salt and pepper to taste. Set aside. Bake uncovered in 350 degree oven until heated through and bubbling, about 30 minutes. At first glance this recipe may seem rather daunting; I recognize that there are a great number of steps in the directions. Please don't let that dissuade you from preparing macaroni and cheese that is extremely creamy and full of flavor. Bring 4 quarts of water to boil over high heat in large pot. Add macaroni to pot; stir to keep from clumping together. Cook for about 6 minutes or until al denté (do not cook until done). Remove from heat. Drain pasta in a colander and return to pan. Pour tomatoes and their juices into the pan with pasta. Return to the stove top. Cook over medium heat, stirring occasionally, until most of the liquid is absorbed (about 3 to 5 minutes). Remove from heat and set aside. Next, prepare the sauce. Melt butter or margarine in medium saucepan over medium heat. Stir in flour and cook about 1 minute. Slowly whisk in milk and broth until smooth. Turn up the heat to medium-high. Bring to a boil, then return heat to medium. Simmer, stirring occasionally, until mixture is slightly thickened, about 15 minutes. Remove from heat. Add cheeses and whisk until melted. Pour over tomato-macaroni mixture and stir to combine. Coat bottom and sides of baking dish with non-stick cooking spray. Spoon macaroni mixture into prepared pan. At this point, the casserole can be covered and stored in the refrigerator to serve up to 24 hours later. 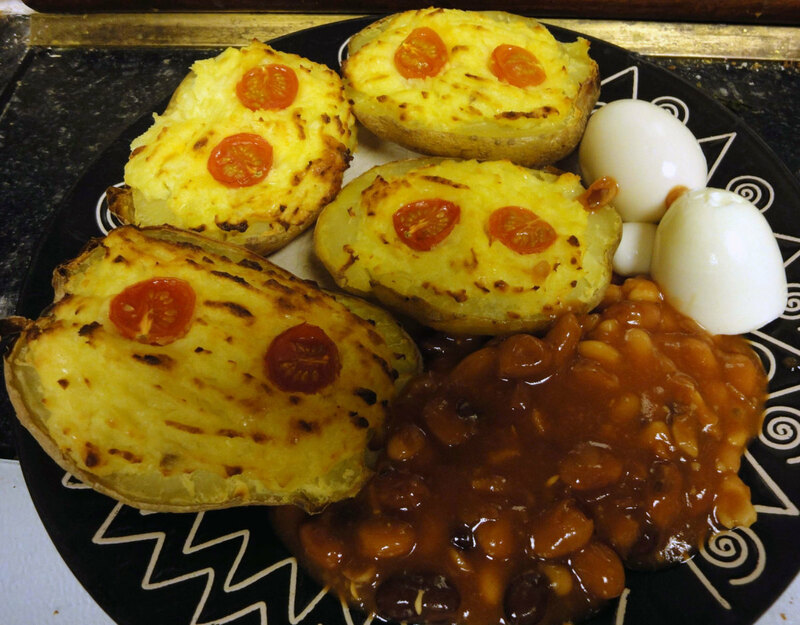 When ready to prepare, bake in preheated oven 20 minutes or until hot and bubbling. (If preparing casserole stored in the refrigerator, add 10 minutes to baking time). Remove from oven; let sit for 10 minutes before serving. 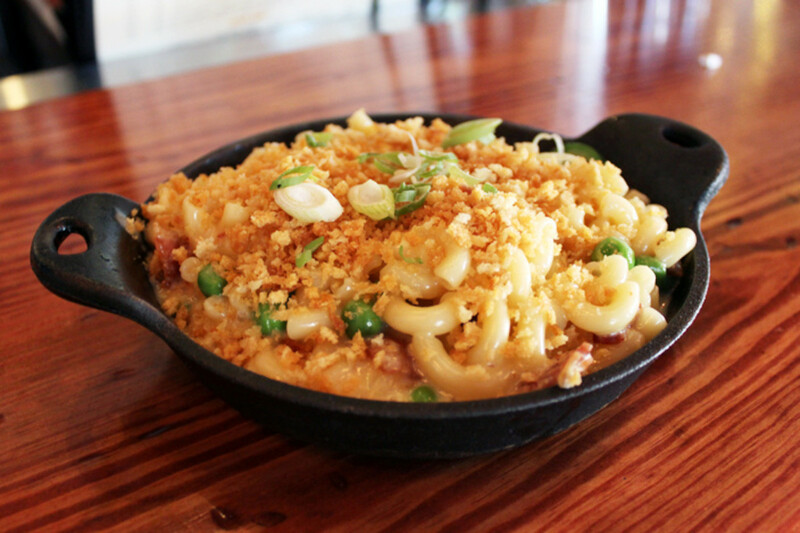 Southern-Style Macaroni and Cheese so Good It'll Make You Want to Slap Your Grandmama! Diva, I think cream of mushroom would over power the dish. I like creme of celery because it's mild, yet offers a subtle tang for the taste buds. I use the low sodium version. I also make a stove top noodles and cheese. I simply add butter, salt, pepper, milk and deli American cheese to cooked noodles, and stir until it's nice and creamy. My brother and I used to make that all the time as an after school snack. I still make it when I have a hankerin' for cheesy, milky noodles. 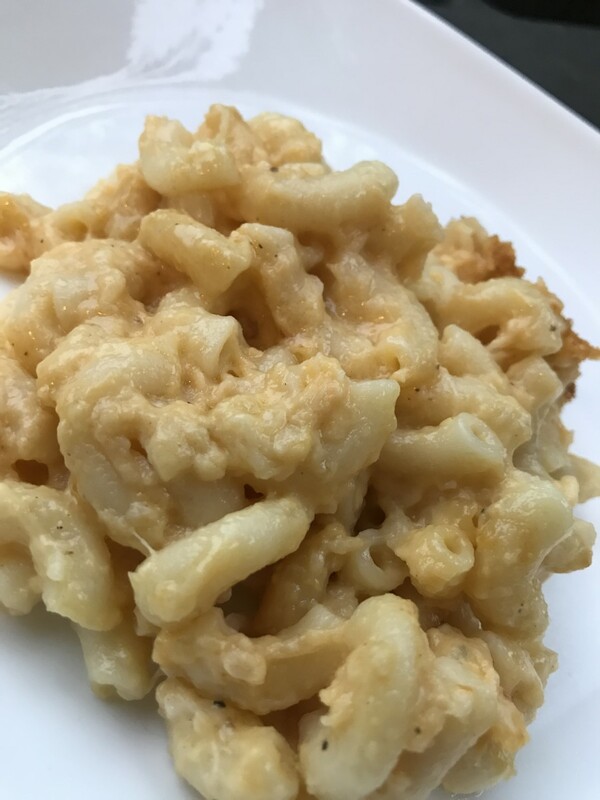 Bravewarrior - I love that you make your own mac and cheese. The idea of using a cream soup for the base sounds great. Have you tried a flavor other than cream of celery? I'm wondering if mushroom would be OK? And, I have seen recipes online that claim to be (another) Stouffer's clone that use one can of cheddar cheese soup. Hmmm. I'm a mac and cheese junkie. When I make my homemade mac n cheese, I usually combine elbows and small shells together. I use low sodium cream of celery soup as the base and add milk until I get a good creamy mixture. (This is all done in the baking dish before putting into the oven). 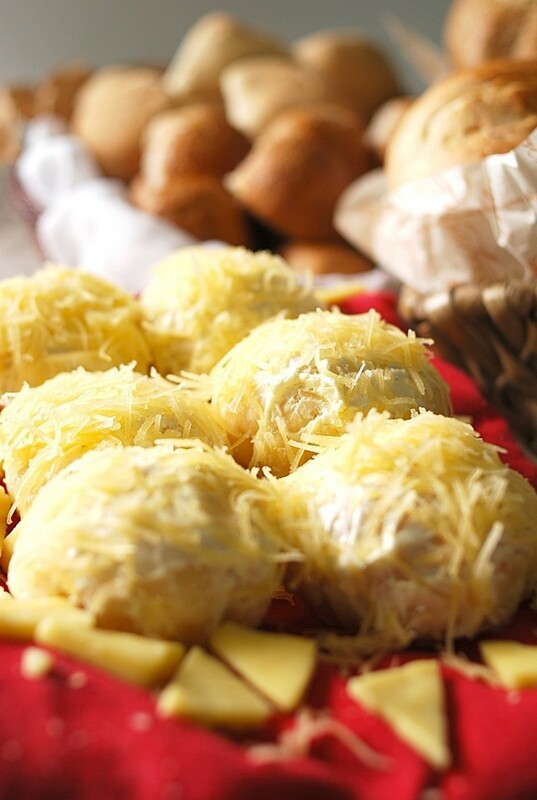 I add grated cheese, mixing well and adding more milk if it becomes too gummy. I top it with quartered Roma tomatoes placed around the perimeter and down the middle to bridge the circle. Then bake on 350 until bubbly. It's delicious. I've had several people ask me for the recipe once they try mine. Yummy, yummy! Flourish - I agree with you whole heartedly. When the weather gets cold, we need comfort food. Mac and cheese always works for me. Thanks for stopping by. Oh, does this look marvelous, especially with the cold weather setting in. I'd love to try several of these just for kicks! Yum! You know how to tempt! Happymommy2520 - thank you so much. I think I have about 220 food-related hubs, so sure you will find something else you and your family will enjoy. I have to say, I will be making the tomato macaroni & cheese. It seems a little lighter than the others. Great article! I am going to pin it on my recipe board for Pinterest. I look forward to reading more of your work! Aw Bill, thanks. I know you're a 'comfort food' kinda guy, but forgive me if I still try to slip some veggies on your plate once in a while. No, I don't have a blog. What would I do that isn't duplicate content? HP is a bit testy about that sort of thing. If you have the time (and I know you have the talent) do prepare #10. I will warn you though that it makes a LOT, so either invite the family over or plan on leftovers for a few days. You made a great comeback here from the brussel sprouts article. LOL I'm back in your fan club with this classic cooking/food article. Bravo, or as the British say, BRILLIANT!!!!!!! You probably think I'm kidding but oh, no, this is my kind of food. 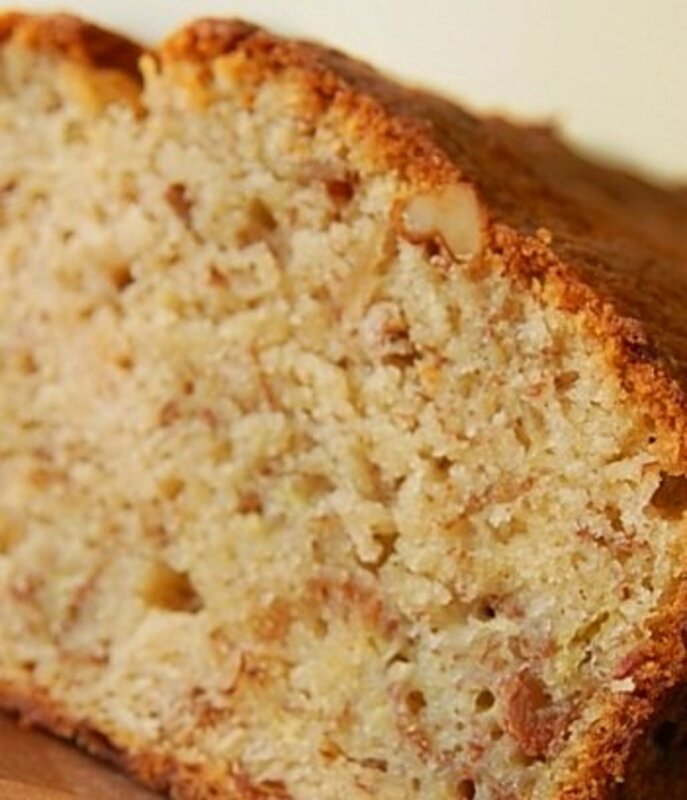 You have just given me the greatest of all food gifts, and I will be trying one of these recipes this weekend. Have a great weekend, Linda! Hey, I don't remember, do you have a blog? If so, send me an email with the URL, will you please? Thanks! I know I should know this but I'm almost 68 and memory lapses are real these days.